Americans value success. We believe our land of opportunity rewards hard work and determination. 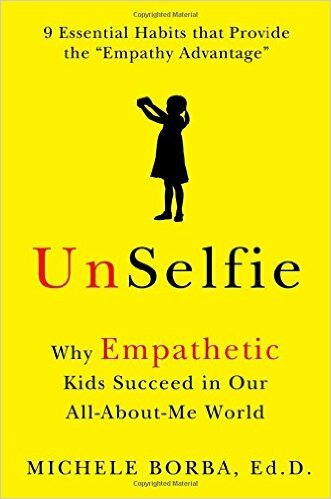 Last week we discussed Dr. Michele Borba's excellent book, Unselfie: Why Empathetic Kids Succeed in Our All-About-Me World. Dr. Borba asked us to consider that we can focus on traditional success-producing skills and even increase the likelihood of success if we place equal emphasis on empathy. This allows us to raise children who shine both as human beings and as high achieving go-getters. As Intentional Parents, how does fostering empathy influence our parenting priorities, practices and choices? What will we change, eliminate. add, or emphasize? How will it alter our expectations of our own behavior as well as our children's? 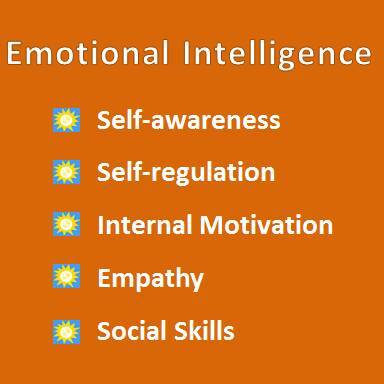 Psychologist Dr. Daniel Goleman coined the concept of Emotional Intelligence and defined it in terms of five elements. Empathy is one of those foundational ingredients. When we parent with an awareness of the role emotions and emotional intelligence play, we can work with our children to nurture them to maturity as well-rounded individuals who succeed in all aspects of their being. We cannot intimidate our children into behaving. Yelling will not elicit their cooperation. We must carefully nurture their internalization of family values and their decision to live by them. We do not want to be their wardens; we want to be their role models. How does this look in action within our Intentional families? Imagine a moment of disagreement between you and your child ... You're frustrated, maybe even angry and worried. You are determined to hold strong and deny what your child has requested. Now imagine their response... Most likely your decision evoked their anger as well as disappointment. This mutual anger feeds off itself and each of you digs in, amplifies your certainty about the rightness of your stance. How might an Intentional Parent handle this scenario differently? Remember the recent topics of Deep Listening and Empathy. How might it look when Adoption-attuned parents embrace those two principles? First acknowledge the obvious: "Wow, you really feel angry and disappointed." Expect them to double-down on this position and their anger. LISTEN. Do not debate our attempt to change their mind. At this point, do not reiterate your position or impose consequences for their behavior. They will probably keep blowing up, expecting push back from you. Your lack of resistance confounds them, alters their expectations, and, interrupts the pattern of arguing. Second, deliver a second unexpected response: validate their emotions. Genuinely empathize with them. "I get angry too when things don't go my way." Anticipate an emotion-charged reply. And again, listen... Allow them to unload until their fury dissipates, the "emotional hijacking" ends and, they are capable of listening. Finally, restate your parental position. Include any adjustments only if you are now willing to consider them. Choose your language precisely. avoid the word "but." It is a relationship killer. For example. if Trevor cannot attend his friend's party, reiterate their request, then express your stance like this: You had your heart set on going. Many of your friends will be there AND we stand by our decision that you cannot join them." At this point do NOT expect that they'll slap on a happy face and enthusiastically accept your decision. Do expect them to abide by it. Allow them the time and space to be disappointed and vent their anger--in their room. 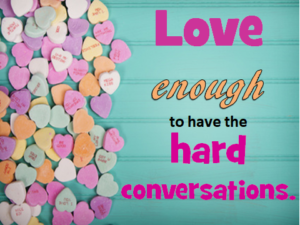 Choosing empathy and Deep Listening does not mean parents stand there like a punching bag. Walk away and do not reignite the discussion. If necessary, reply once, "Asked and answered," then disengage with calm and respect. Recall a recent argument between yourself and your child (or spouse.) How might have this empathy based approach improved the interaction?